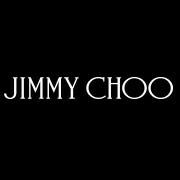 Jimmy Choo Kuwait, last updated on 10 October 2017 , is listed under Shoes category. It was added to Kuwait Directory Rinnoo.net on 11 May 2015 . Pages of Jimmy Choo Kuwait on Rinnoo.net have achieved 20,908 views till now. The brand traces its roots to a bespoke shoemaker named Jimmy Choo, based in the East End of London in the early 1990s, who catered to the global jet set, including Princess Diana. The Jimmy Choo company was founded in 1996, with Mr Choo’s niece, Sandra Choi, who had been heading up design in the East End atelier, coming on board as Creative Director, a position she holds to this day. Mr. Choo departed the company in 2001. Design your own shoe now with "Jimmy Choo"